"Highly recommended, a true gem of an app !" 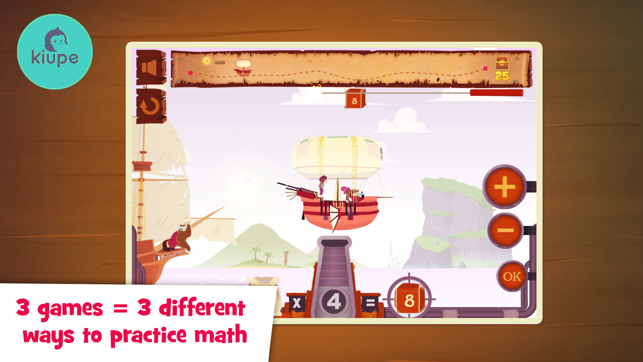 “Well-drawn graphics and a deep back story make math fun for ages 8-11." Top Picks ! 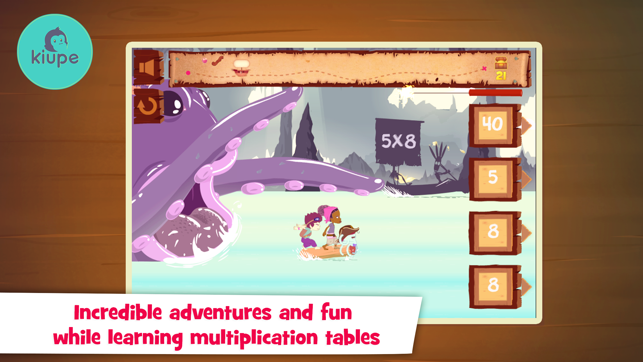 "Math Mathews Multiplications " is a (serious) game made to allow children and adults to practice multiplication tables in a fun environment. 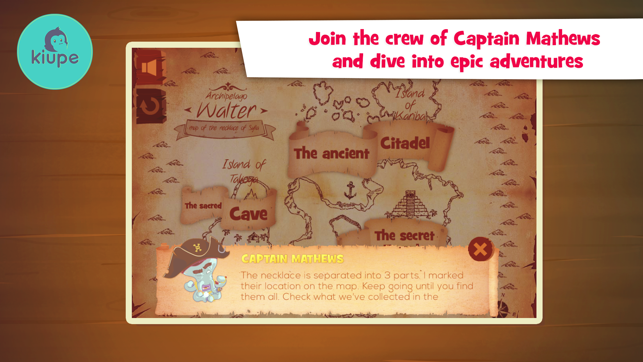 Join the crew of Captain Mathews and dive into epic adventures ! Will you be brave enough to break the curse which turned Captain Mathews into an octopus ? 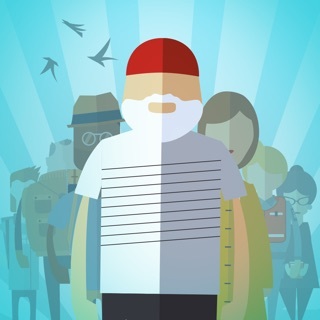 - Safe environment : no ads, no web, no in-app purchase... Only the game ! 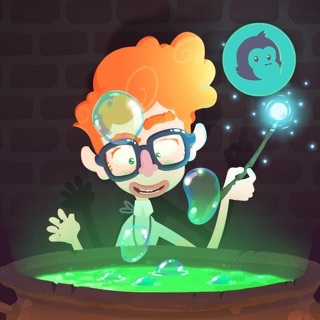 Kiupe is a studio creating math video games for kids. As developers of applications for children (and parents !) we are engaged in the creation of secure apps with the highest quality for children of all ages. We are a proud member of the Moms with Apps group. Thank you to send your suggestions and queries support@kiupe.com. We love to hear from you and will update the application based on your feedback! 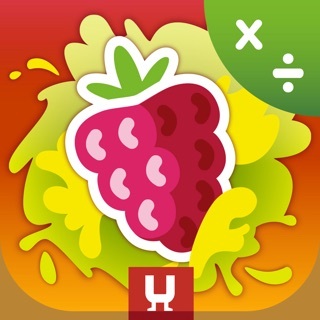 Math Matthews is a wonderfully engaging app for children in which they play a serious of three games in which they find answers to multiplication problems in order to advance the level. The bonus rounds are quite fun and filled with multiplication problems along with coins and treasures children can find along their way. The visuals images and characters are wonderful and the game itself is a different but excellent way to teach children multiplication. I love that children learn multiplication in a different format, one for each game which makes a child's learning complete. Math Matthews is an absolutely amazing app. The practice round is wonderful and it holds a stress free way to play and learn. Overall, it is an excellent way to practice and reinforce skills in multiplication. The description of this app is correct when it states the game provides a playful and quality environment for learning. 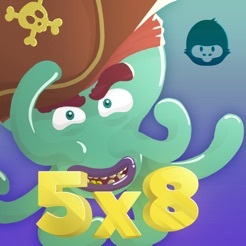 I would recommend this app for parents and educators that are working on multiplication skills with their children. 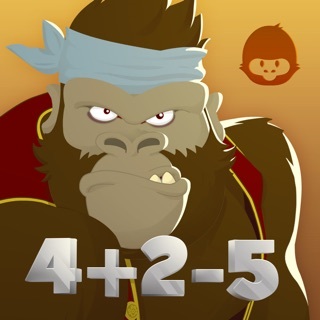 Best Math App Ever for Multiplication!!!! 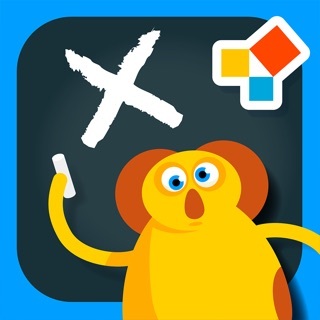 This app is a very comprehensive math game made, built for kids, as well as adults to practice multiplication tables. That being said, it is as much fun as a video game! 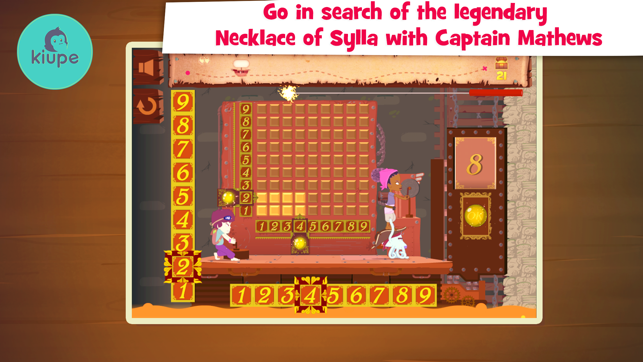 You can join the crew of Captain Mathews, on his pirate ship, in search of parts of the lost necklace of Sylla! 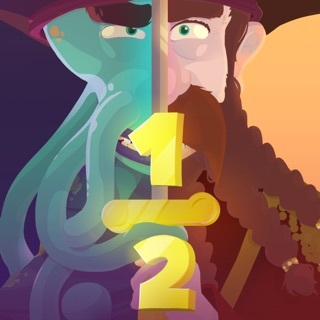 This app has three sections on the pirate map, which were created with speech therapists and based on three differents methods to practice math, which explains, why I am better at 2 out of 3 of them! Yes, I am the mom and could not put the game down! I admit it! The app also has a captain's log, notebook, a practice section, a section to keep track of your players (meet the crew), and a room for your treasure. 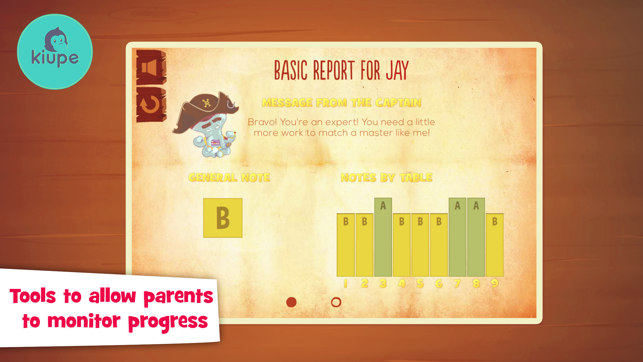 This amazing app tracks progress, you can create up to 7 player accounts, making ideal for classrooms or large families. Did I mention the amazing graphics? There are no ads or in-apps purchases either. 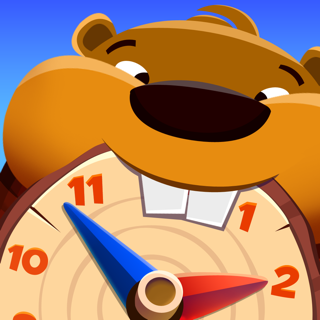 Math Mathews is a fun and engaging app that helps kids learn and practice basic math. I like the way the problems are mixed around and the variety of the way you solve the problems. The animation is great. I love the timed problems where if you don't solve them eithin a specified time, something happens to the characters. It makes you think fast! The different levels and goals make it more like solving a puzzle rather than practicing math skills! Progress is tracked, and there is a practice area where you can practice math problems that may be more difficult.